The bowl is set away from the altar outside of the room, as it now ritually impure. The used water should be poured directly onto the earth outside the temenos after the ritual. Another method of purification minus fire is to use bottled spring water. You can do the same ritual minus the fire from above using this type of water. 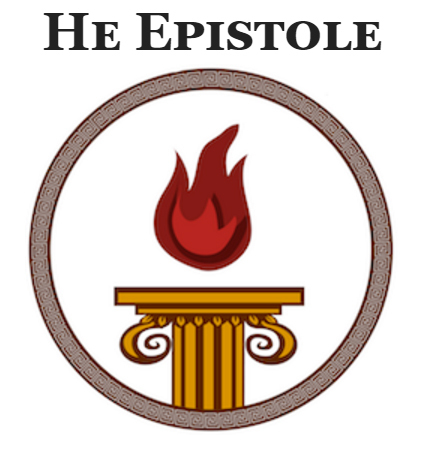 For the gods of the household, I pour out the following shares: First, to Hestia, who’s is always the first and the last, Zeus, Agathos Daimon, Apollon, Herakles, Hermes, Hekate, the Dioskouroi, (if there is a festival, libate to the deity(ies) here). Pour a libation out after saying each deity’s name. Say Be Well Disposed after each libation. Read Orphic Hymn to all the Gods. Recite any appropriate hymns and say any prayers as needed. (pour libation to Hestia into libation bowl). This is based primarily off of the Noumenia ritual found on the Neokoroi Web site and the purification ritual from Temenos Theon. The link to the original purification ritual is here. I know this is very generic, but I’m brand new to Hellenismos and had originally made it for my own personal devotions. I hope this helps other new comers. It’s also for a solitary worshiper, but can be adapted for a family’s use pretty easily. Suggestions are always welcome!